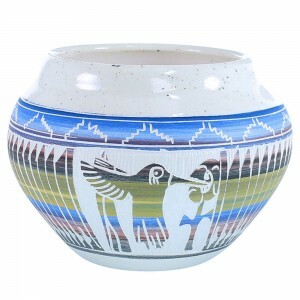 Navajo pottery is among the most revered art in the United States. 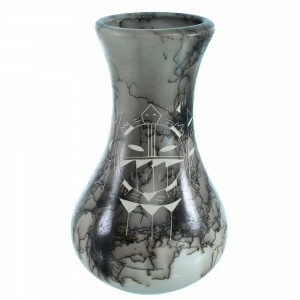 The tribe has been making pottery for hundreds of years and today, they are known for their ability to craft and carve the highest quality pottery while staying true to techniques passed down for generations. 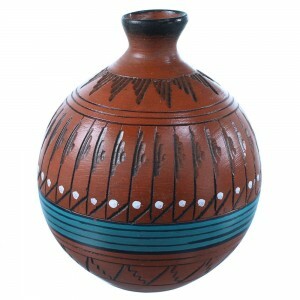 Navajo pottery artists made vessels for utilitarian purposes such as gathering water and storing food. However, when the railroads were built close to tribal areas, the Navajo pottery designs changed to reflect a more artistic approach. This allowed them to engage in trading with outsiders heading west. Navajo pottery artists implement culturally and spiritually significant imagery in their beautiful work, including rain, clouds and lightning, which are important symbols for fertility, renewal and change. The depictions are usually angular with straight lines that reflect the skyline of the high desert areas where early Navajo pottery artists lived. 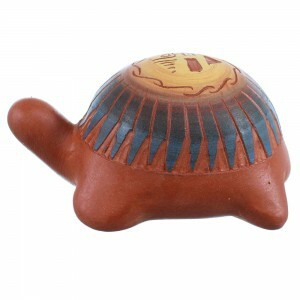 Many images that hold deep meaning are portrayed in Navajo Indian pottery. 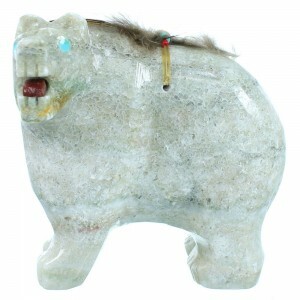 The Yeii Spirit is one popular addition to many styles of artwork. 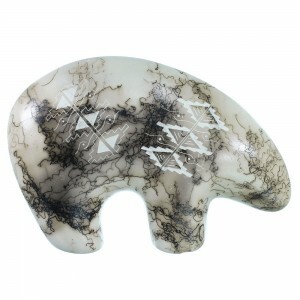 The spirit is believed to control natural forces and act as a mediator between man and the creator. 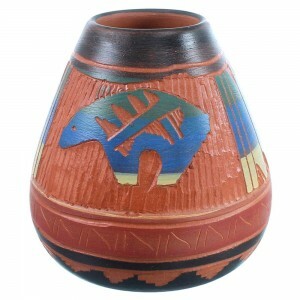 Our Navajo pottery for sale features the designs and craftsmanship that made this form of art so popular for so many years. 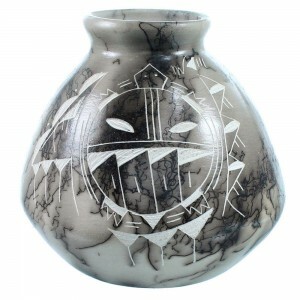 We offer a massive selection of Navajo pottery from some of today's most talented artists who carry on the traditions and techniques passed down through the generations. 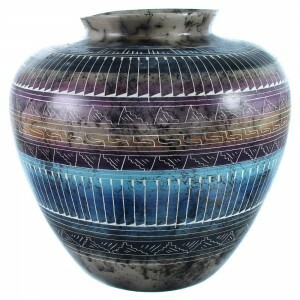 Our popular collection of Navajo pottery designs includes hand-painted examples of expertly crafted artwork that captures modern day creativity as well as the historical importance. 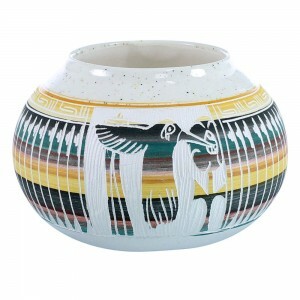 Navajo Indian pottery is some of the most respected and sought after Southwestern art in the country. 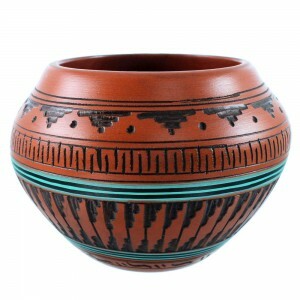 Early Navajo pottery differed from other tribes and was made in the coil and pinch method of old societies. 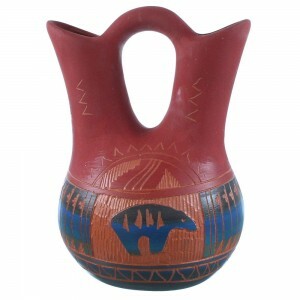 The Navajo pottery artists would bonfire and treat the work. Before the pot cooled, melted pitch was rubbed on the vessel. 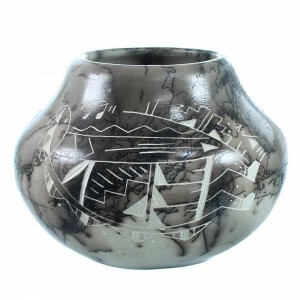 The technique gave Navajo Indian pottery a very distinctive look and aroma. Even today, much of the Navajo pottery for sale is fired outdoors in an open pit that is allowed to burn hard for several hours. 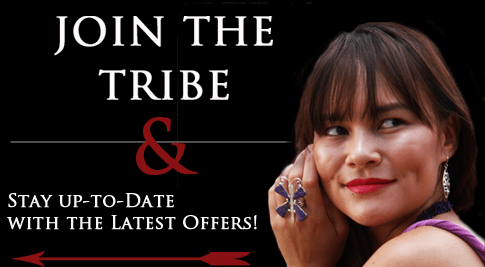 Although the method may vary from artist-to-artist, our pieces are always beautiful examples of Navajo pottery designs that will make a stunning addition to your art collection. 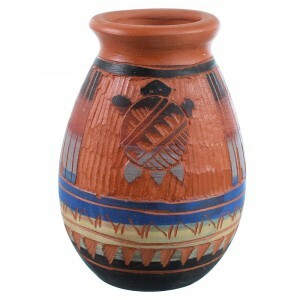 Our Navajo pottery is among the most popular items we carry. 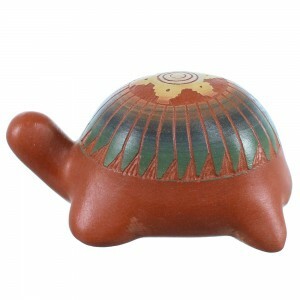 Check out our ever-growing selection of items made by some of the best Navajo pottery artists in the business. 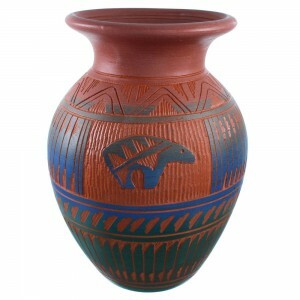 No matter what type of Navajo pottery designs you are drawn to, we have the right product for you. 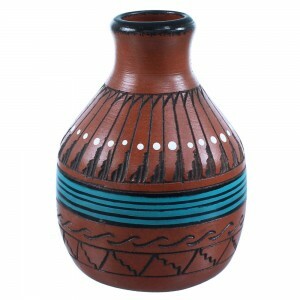 Well cared for Navajo pottery will be a welcome addition to your Native American Pottery collection for years to come and truly is an item you can pass down for generations. If you're shopping for pottery or artwork, you found the right place. 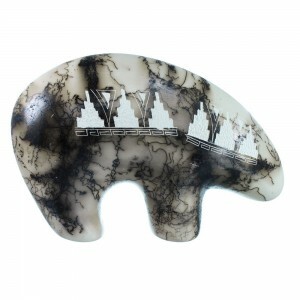 Our collection is always expanding with more price cuts and special offers being launched all the time. 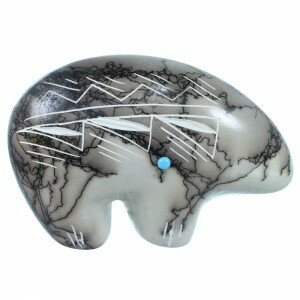 Keep checking back for all the latest deals and additions to our ever-growing inventory of handcrafted art.